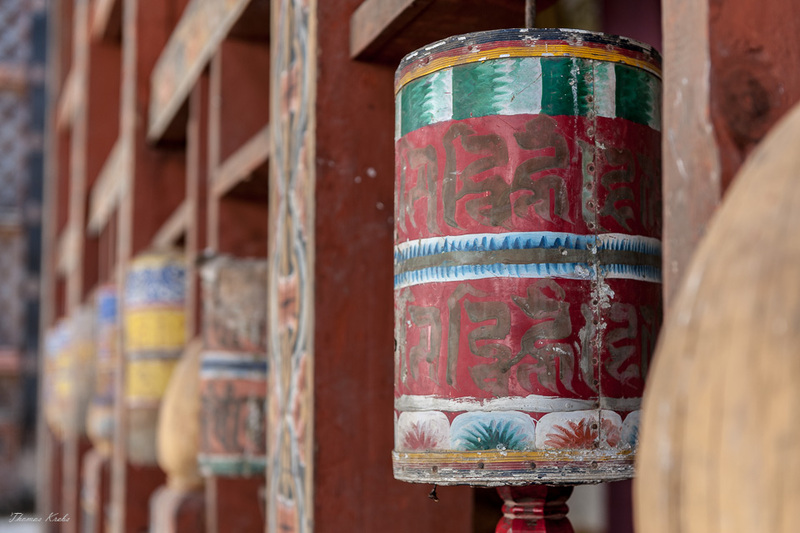 You will find these prayer wheels in every monastry but also on the streets at buildings. Has gotten a lot of use. I like the variety of colors.